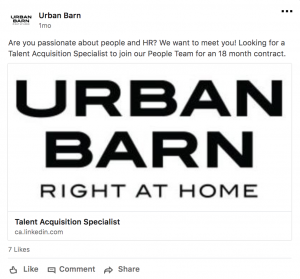 We had the chance to speak with Jessica Dolkhanian, Talent Acquisition Specialist at Urban Barn to hear how she has developed an interview process to identify and hire top talent. Jessica’s journey through the field of recruitment has allowed her to gain experience across industries, ranging from finance and technology to her current role in the retail sector. She believes that a clearly defined interview process – and having all team members understand its purpose – is key to successful recruiting. What role does the interview process play in Urban Barn’s ability to hire top talent? Having a strong interview process is the key to hiring top talent! Hiring managers need to fully understand all the steps in the recruiting process to be comfortable with diving in with candidates. A clear understanding gives hiring managers the confidence to conduct interviews. It is important to understand why they are asking specific questions. Including what information they are really looking for so that they can probe deeper with candidates. Hiring managers need to buy in to the value and the purpose of the process. It’s increasingly competitive to hire great talent. What kind of impact does an interview process have on candidates? A strong interview process is key for candidates to have a positive and consistent experience. In Urban Barn’s case, the process for candidates needs to consistent across all of our locations – from BC to Quebec. Most importantly, regardless of whether they get the position, they need to have a pleasant experience. Consistency and a strong foundation also shows professionalism within a company. Being prepared not only helps hiring managers feel more confident, but it also leaves a good impression on candidates. When hiring managers buy into the value of communication and candidate stewardship, everyone wins. Candidates are people, and people want to know where they stand. Whether they are being shortlisted or not. Tell us about what motivated Urban Barn to re-evaluate your interview process. Turnover tends to be extremely high in the retail sector. 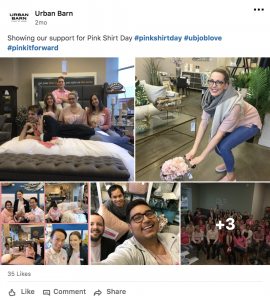 When I first joined Urban Barn, I was amazed to learn about our managers’ amazing tenure. Hearing managers’ stories, their journeys and how they have grown, was inspirational to me. However, a lot of our hourly employees have high turnover. We wanted to understand the true genesis of the problem. Are we hiring the wrong people, or is turnover caused by something post-hire? We knew that hiring the right people in the first place would be key to our success. We also recognized the importance of a positive candidate experience that is consistent across all locations. To achieve our goals, it was important to develop an interview process that would help to cultivate a positive candidate experience, regardless of whether a candidate was successful. And that it was key to train our managers on how to effectively interview. We also worked to align managers with a consistent interview process and shared goals. This helped to give managers the confidence they needed to be successful. What was the process behind creating your new streamlined interview process? The first step was getting a snapshot of our people and our DNA. We wanted to understand what information we needed to gather from interviews to identify top performers and make great hiring decisions. Then develop the right series of questions to help us get there. We started by taking a sample size of our top performers across the country and asked them to participate in our DNA Project. We conducted behavioral assessment for employees, linking it with Survey Monkey to gather more data. This helped us to understand the DNA of a top performer. Using this data and success profile, we developed a series of questions for each stage of the interview process. We worked with managers to generate their buy-in, providing training on how to use these questions as guides to dig deeper and get the information they are looking for from candidates. 1. 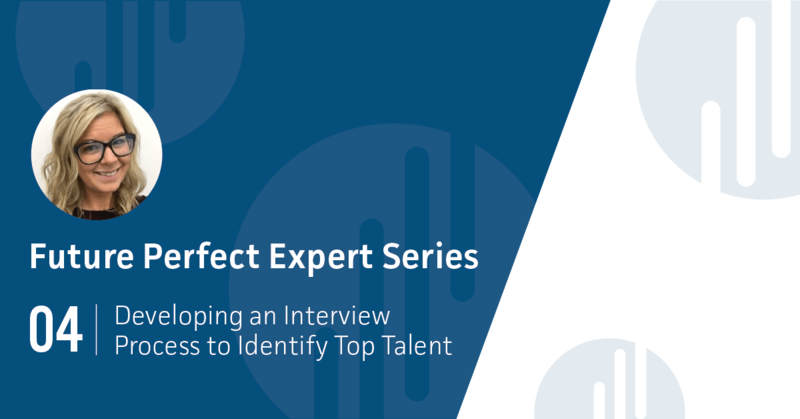 What is the most important thing to keep in mind when developing an interview process to identify and hire top talent? It is important to remember the people who will be using the process, who will be impacted most by it. We kept our managers top of mind during this process and put ourselves in their shoes. 2. Where should you start when it comes to developing an interview process? Start with your people, find the gaps and then bridge them. 3. What is the most important thing to avoid when developing an interview process? Ensure that you are communicating the process effectively to managers to get their buy in. Engage with them frequently and proactively. Ask for their feedback and action it so that they are equally involved in developing the new interview process. 4. How do you evaluate the success of an interview process? It is all about collaboration and keeping the dream alive. Checking in with managers to see how things are going is important. We also monitor and manage key performance indicators, looking for tangible results.